Ahlen, July 2012. – Free-standing baths in generously proportioned bathrooms are both a prominent feature and an oasis of wellness. Design and function form a harmonious unit. With the new Comfort Select electronic fitting, premium supplier Kaldewei now enables the installation of baths with free-standing panelling as a centrepiece in the room without requiring additional components such as external stand fittings. The bath system thus transforms into an item of furniture and design object for exclusive bathroom architecture. Kaldewei’s electronic faucet Comfort Select comes with a digital, user-friendly operating panel to regulate the water inlet and outflow, the water temperature, and shower or bath function. The Kaldewei Comfort Select system consists of three components, which can all be individually combined: an operating panel with electronic control unit, a drain and overflow fitting, and a shower hose. The operating panel of the Kaldewei Comfort Select with electronic control unit integrates virtually flush into the rim of the bath and allows precise setting of the desired temperature even before running the water. Whether the default 38.5°C, warmer or cooler: the bath fills from the very first second with water of a consistently even temperature, which can, of course, be easily adjusted in increments of 0.5°C at any time at the tip of a finger. Along with the temperature, the operating panel of the Kaldewei Comfort Select also regulates the water inlet and outflow. 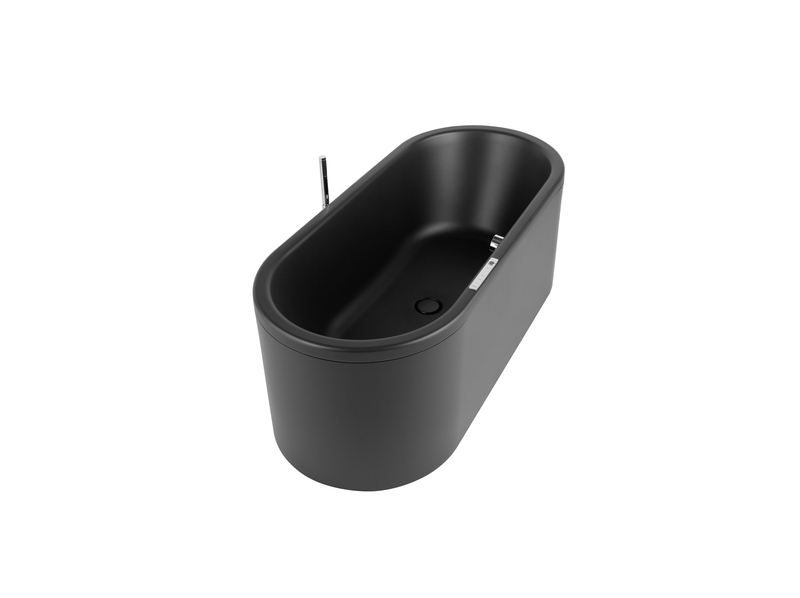 Free-standing baths can be filled using a special Kaldewei Comfort Select drain and overflow fitting with integrated fill function. As a further function, the Kaldewei Comfort Select operating panel electronically controls the shower function with the Kaldewei Comfort Select shower hose. Depending on the bath, the shower hose can be sunk in the rim or fitted to the outside using a special holder. The shower head can be individually selected to match the remaining bathroom fittings. Offering a complete system comprising bath, panelling and Comfort Select fitting, Kaldewei delivers a premium product whose appeal lies as much in its technology and comfort as in the harmony of its aesthetic style. 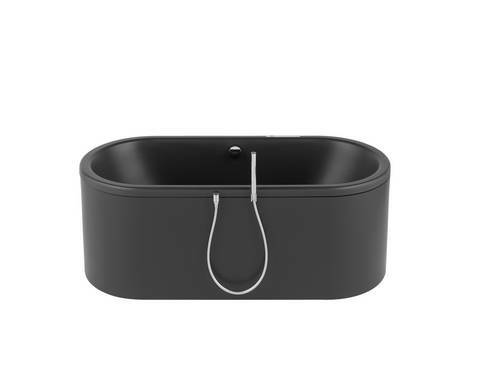 The Kaldewei Comfort Select was designed by the noted Phoenix Design office, Stuttgart/Tokyo, and is naturally also available for standard fitted baths in Kaldewei steel enamel; it combines equally well with all popular bathroom fittings. 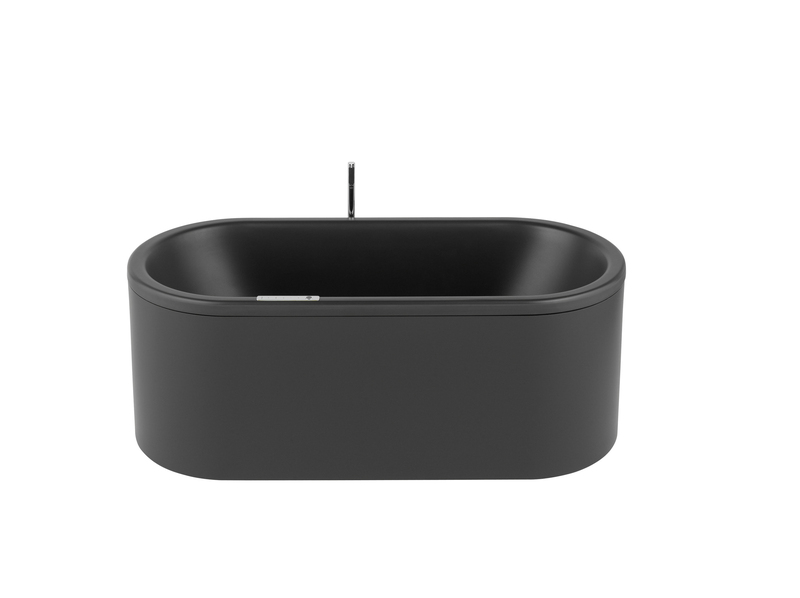 The Kaldewei Comfort Select system consists of three components, which can all be individually combined: an operating panel with electronic control unit in the bath rim, a drain and overflow fitting, and a shower hose, fitted here to a Kaldewei Centro Duo Oval bath in trendy lava black matt. 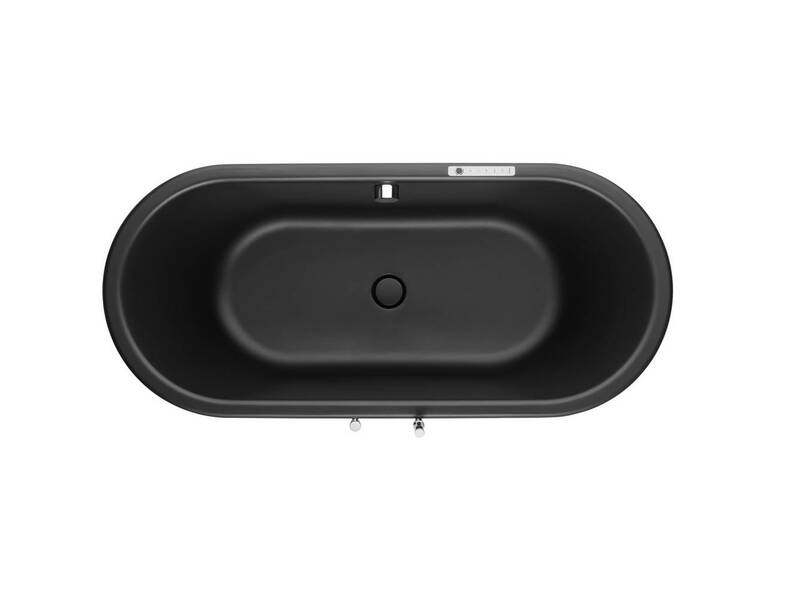 The Kaldewei Comfort Select fitting integrates almost invisibly into the bath rim – great for free-standing baths without additional disruptive components such as external stand fittings. As a further function, the Kaldewei Comfort Select operating panel electronically controls the shower function with the Kaldewei Comfort Select shower hose. The hose can be fitted with any shower head matching the overall bathroom design and either be sunk in the bath rim or fitted to the outside – depending on bath geometry and user preference.